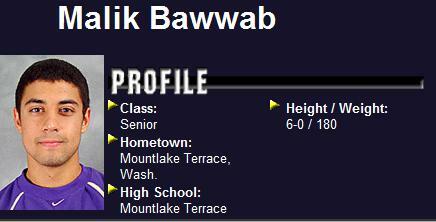 My name is Malik Bawwab and I am an Arab Muslim! And we will build our Victory Mosque wherever we want to build it! And there is nothing any of you damn infidels can do about it! We will even build it on top of your grave! You can cry all you want and complain like little babies, but WE OWN YOU!!! And all my Arab brothers and sisters spit on your grave!!! Sounds like Qur’an 9:123, “Fight the unbelievers around you, and let them find harshness in you.” Harsh, indeed! These words were not from a protestor in New York; This exemplary follower of Mohammed is a student at the University of Washington, was a Mountlake Terrace High School graduate, and is on the Husky Crew Team. (details here). 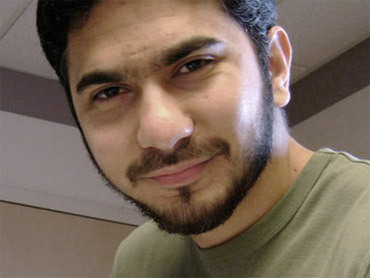 More info on this UW student, and his participation at a UW speaking event here. Those who donate to Muslim front charities that funnel money to terrorist organizations. (Muslims are encouraged to give zakat (tithes) to these organizations. Those who push for sharia-compliant banking (already in effect with some banks in the US). Those who practice Allah-sanctioned taqiyya (deception) by talking “peace” in English among westerners, and then talk about jihad against all things western in Arabic at the mosque. And of course, those Muslims who threaten with death anyone who is critical of Islam (this happens many times daily, and you can check out www.TheReligionOfPeace.com for details on whether they mean it or not). What can you do? Check out www.CitizenWarrior.com for more things you can do to protect our freedoms, and not give in to Islam’s relentless encroachment to make all the world submit … which – by the way – is what the word “Islam” means. 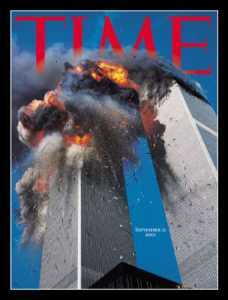 The Sept. 11 attacks were the product of a hateful ideology that the perpetrators were willing to die for. They believed that all non-Muslims are infidels and that the duty of Muslims is to renounce them. I am not a theologian, but I know that the men who killed my mother carried this message in their hearts and minds. Obedient and dutiful soldiers, they marched toward their promised rewards in heaven with utter disregard for the value of the human beings they killed. That’s exactly it. But the hateful ideology is plain for anyone to see if they would just read the Qur’an. The Qur’an says that non-Muslims are infidels, and the Qur’an says it’s the duty of Muslims to advance Islam by conversion, subjugation, or death of those who will not accept Islam. Islam means “submit.” And there is no “tolerance” of non Muslims. For dedicated Muslims, there are only two camps in the world: dar al-Islam (the house of Islam, those who are Muslims) and dar al-harb (the house of war). You don’t need to be a theologian to understand the central tenets of the Qur’an. The one’s who follow it the closest are going to drink in it’s core values, and carry them out. Yet, just over two decades later, the militant version of our faith caught up with us on a September morning. The “militant version” is but one wing of the Islamic Ummah (community worldwide). Those who give birth to 10+ babies to further Islam are another. 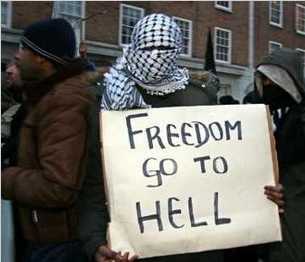 Those who push for Sharia (Islamic Law) concessions in the West in the name of tolllllerance are another. This includes those who want separate Islamic courts (like they have now in Britain) in the U.S., and those who want special concessions (like factory accomodations, or for special concessions for Muslims). And many practice “taqiyya,” the deception that is actually mandate by Islam’s holy writings. Yes, it’s okay to lie or to conceal the truth if it furthers Islam. The idea that “Islam is a Religion of Peace” lie falls under this one. 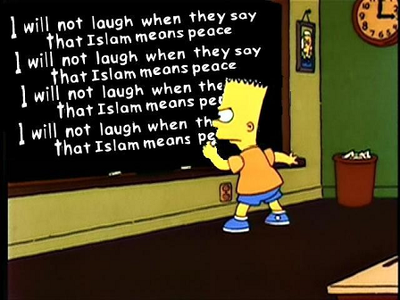 Islamic writings DO say that it is a “religion of peace,” but (the unspoken part) is that it’s only AFTER the whole world is subjugated under Islam using every means possible. All of these “wings” contribute to the Qur’an mandated goal of converting or completely subjugating the whole world under Islam. When you are born into a Muslim family, there is no way around it, no choices available: You are Muslim. I am not ashamed of my faith, but I am ashamed of what is done in its name. 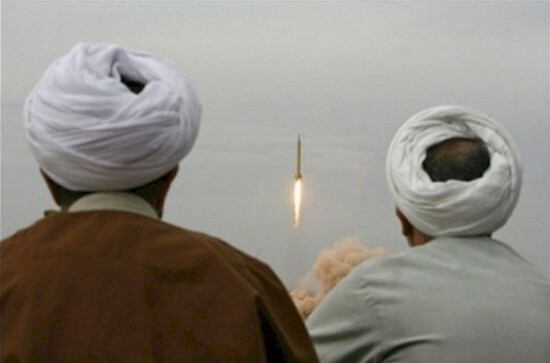 Well it’s true that when you’re born into Islam, there is no way around it; Islamic writings command that those who turn away from Islam be killed, and that’s a very compelling motivation to stick with a cult of death, even if it occasionally leaves a bad taste in your mouth. I don’t expect Ms. Bolourchi to openly leave Islam. But perhaps she’s already done it in her heart. If she’s truly ashamed of what is done in the name of Islam, then it’s time to chuck the Qur’an, Ms Bolourchi, because it wholly supports the actions of the 9-11 hijackers who murdered your mom.